Sudden clarity analyst: Windows phone doesn't sell well due to a "lack of consumer interest"
The lack of consumer interest for Windows-based phones has been very consistent in marketing surveys we have carried out across the globe over the last several years. 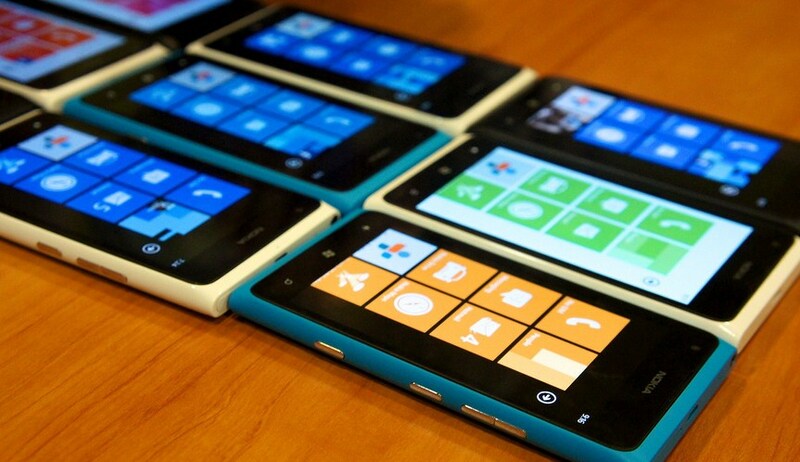 The situation of Windows in mobile phones is now very unlikely to revert. Smartphone Operating Systems benefit from ecosystem dynamics in terms of application ecosystem but most importantly consumer advocacy and adoption. You almost want to scratch your head at how tautological parts of that are, and how wrong the rest of it is. I wonder how much the venerable Mr. Ferragu was paid to realize that limited consumer interest leads to limited sales. I bet there’s a community college economics department somewhere that could use him. Let’s take that excerpt in tranches, for fun. The Obama AMA is over, so we have the time. The first sentence is the most obvious. It would be a real story if the ratio between consumer interest and consumer purchasing behavior was off; if consumer interest was high, and sales low, or interest low, and sales high, for example. However, low interest and low sales is a banality. These two charts paint a very different picture than what our analyst describes. In the face of declining news volume – the lower chart – interest in Windows Phone, as measured by search traffic, is rising. Thus, without stimulus from the press, Windows Phone is making headway. There are a dozen other factors at play here (unearned media, and so forth), but the data doesn’t square with “consistent” lack of interest; things aren’t great for Windows Phone, but they are getting better. And better denotes change, not consistency. Windows Phone is about to undergo a massive platform shift with its next version, Windows Phone 8, that will allow developers to quickly bring their Windows 8 applications to the mobile operating system. Also, a whole slew of fresh phones are due to drop along with the new edition of the code. And Verizon is back into the picture, supporting the platform. And Microsoft has the money to keep at the project until it does break the 5 or 10% barrier. And, well, consumers do like the phones, just check the top rated handset list on Amazon. That and it has a somewhat decent app library as is. I could go on. Certainly, Windows Phone faces a plethora of challenges. Yes, it has quite a great distance to go before it can claim to be a real competitor in terms of scale with Android and iOS. But that doesn’t mean that it’s either dead, or dying. Gerrout, Mr. Analyst. Today’s misleading chart: TNW’s @alex claims interest in Windows Phone is rising – by using a chart that starts in 2004. Now, we can’t do this perfectly, but the graph starts at around the 0.7 mark or so, and ends up at, say, the 1.25 mark. So, in 12 months, that’s a search volume shift (using whatever unit Google has come up with), of 78.57%. My statement from before was “In the face of declining news volume – the lower chart – interest in Windows Phone, as measured by search traffic, is rising.” So, we need to look at the news volume graph again, that’s the one on the bottom. Eyeballing the average level at the start of the graph, and the period since July, it’s obvious to me that the level is lower. Sure, there is a large recent spike (that’s nearly certainly the Windows Phone 8 announcement), but otherwise it has been Lake Placid and declining for months. Now take that fact, and compare it to the search volume chart. It’s moving up. So, as I stated, as its earned media has declined, interest has grown. This fact could be an argument that coverage of Windows Phone is often negative, leading to press cycles harming sales. Someone else can run that thought. In my estimation, my analysis was correct, and my graphs not dishonest. Google Trends, after all, only lets you be so specific. I tend to use all historical data, just as habit, but perhaps taking it 12 moths at a time can be easier to understand. If I confused, I apologize. I’m not sure if that chart was drawn up using ‘Windows Phone’ or ‘Windows Phone 7.’ If it’s the latter, it has no bearing on this discussion. [We have confirmed that the term was ‘Windows Phone.’] His point, however, that Windows Phone is a mote when compared to its competitors is correct.